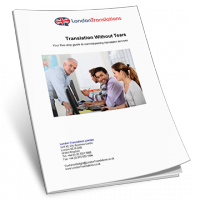 My company used London Translations Limited to translate training materials from English to Mandarin. There was a particularly short turn around on this piece as we were under pressure to send items out to Beijing. Not only that but there was a large number of things to translate and typeset. I was really impressed with the way London Translations turned this around so quickly, and in such an efficient manner. The accuracy of the translation was also fantastic. Our clients in Beijing were delighted and so were we. 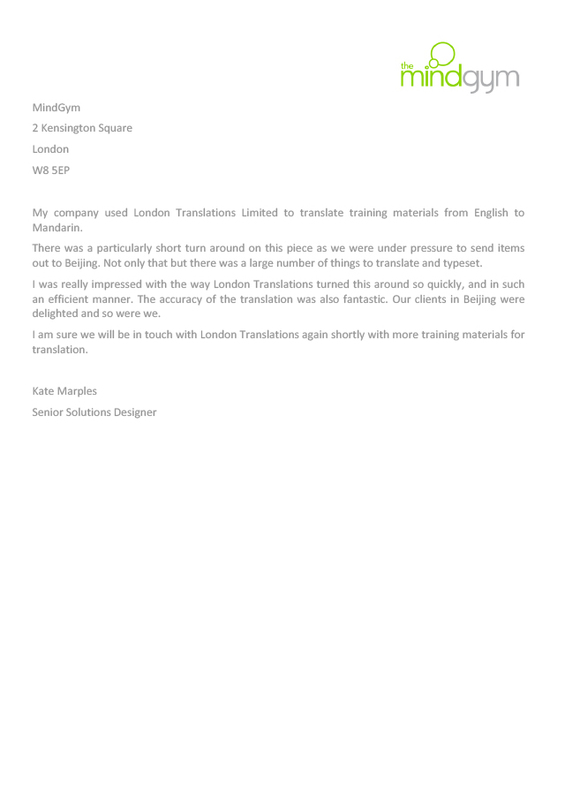 I am sure we will be in touch with London Translations again shortly with more training materials for translation.